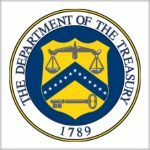 The Treasury Department has blocked from dealing with the U.S. 16 individuals and nine foreign companies for their involvement in activities that support North Korea’s weapons of mass destruction programs and breach of United Nations Security Council Resolutions. “Treasury continues to systematically target individuals and entities financing the Kim regime and its weapons programs, including officials complicit in North Korean sanctions evasion schemes,” Treasury Secretary Steven Mnuchin said in a statement published Wednesday. The department’s office of foreign assets control designated 11 representatives of North Korea government-owned Ryonbong in China, Russia and Georgia for their involvement in procurement activities that back the East Asian country’s chemical weapons program. The department also sanctioned five North Koreans for their ties to the Kim regime’s financial networks and designated two China-based companies for exporting goods to North Korea. Another Korean electronics company was named for its manufacturing operations in North Korea. Five North Korea-based shipping companies and their six vessels were also sanctioned for their involvement in the country’s transportation industry. The move came two months after the department sanctioned 13 foreign firms and 20 vessels for their trade connections to North Korea.